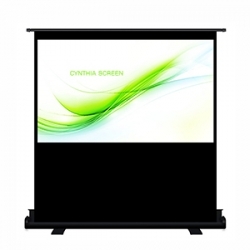 Folding frame projector screen is quick to set up and take down, assembling in just minutes with out any tools. 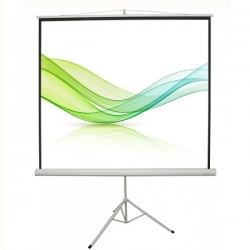 Folding Frame Projector Screens are generally used in auditoriums, stages, trade shows and outdoor venues. Folding Frame Screen are the best portable solution for large venues, strong and durable, often coming with a hard travel case for transport. Easy assembled by snapping or screwing together multiple aluminum frame pieces to a tensioned screen surface. Typically, a more expensive portable solution than a tripod screens or floor pull up screens, due to their prefessional use and durability. 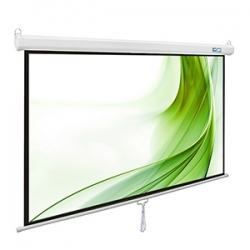 Portable folding frame projection screen ideal for any outdoor activities, such as camping, parks or movies in the backyard. 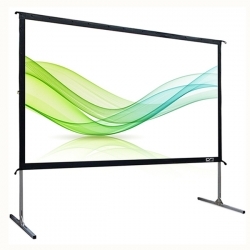 Fast fold screen with a heavy-duty frame construction, the set up and take down is simple and quick with a portable carrying bag.